Spielo International’s Wide Area Progressive (WAP) Jackpots system has broken national payout records in France on 6th May, presidential election day, with the country’s second biggest jackpots payout by Magic Casinos Jackpot of €5,875, 836. The lucky winner was a 49-year old father of two at Casino Joa de Gerardmer. France’s jackpot record of €9, 420, 902 in March 2011 is also held by Magic Casinos Jackpot. Magic Casinos Jackpot is the world’s largest WAP jackpots system based on the well-known Star Jackpot™ software and Crystal Web™ floor network solution from Spielo International. The fact that more than half the casinos in France have joined together to offer the country´s first truly national progressive jackpot also ensures the very high re-start value of €2, 010, 909 after the latest jackpot hit. A total of nearly 300 slot machines in nearly 100 casinos are connected to Magic Casinos Jackpot. The joint venture includes the five largest casino groups including Lucien Barrière Hotels and Casinos, Joa, Tranchant, Emeraude, Cogit, and 20 independent casinos. The jackpot generates enormous excitement, because a small bet can pay big: players wager a minimum of 3 credits of €0.50 (for a total of €1.5) to qualify for a jackpot of several million Euros. 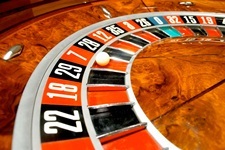 This is another example of Spielo International´s unique WAP expertise, which can be easily deployed across any number of casinos. Spielo International offers the full scope of wide area progressive solutions, from just Star Jackpot and Crystal.net™ or Crystal Web installation to a full turnkey solution that includes machines, systems and administration. Spielo International administrates the jackpot 24/7, and is subject to very strict regulations. The jackpot administration includes daily meter reconciliation against system participation, hit management and regulatory reporting, as well as the accounting. Since May 2010 a record jackpot of €9, 420, 902 was won by Magic Casinos Jackpot at Casino Joa in the town of Port Crouesty, €5, 512, 448 at Casino Tranchant in Bagnères-de-Bigorre, €4, 522, 674 in Casino JOA La Siesta in Antibes, €3, 438, 701 at Casino JOA in Luxeuil-les-Bains and €1, 877, 087 at Casino Emeraude in Saint Jean de Monts. In total more than €30, 647, 649 have been redistributed across France since the jackpot was launched back in 2009. Bally Technologies, Inc. (NYSE: BYI), a leader in slots, video machines, casino-management, interactive applications, and networked and server-based systems for the global gaming industry, today announced that it will exhibit a large selection of innovative and award-winning gaming solutions at G2E Asia in Macau, May 22-24. Bally will exhibit its trailblazing gaming products in booth #1003 at the trade show and conference held at The Venetian Macao. World-Class Brands – Taking center stage will be Michael Jackson King of Pop, which features one of the most beloved and influential artists of all time in an exciting, music-filled game on Bally’s new Pro Series™ V22/32 cabinet with the custom, Pro surround-sound chair. Offering everything from mystery wilds bonuses and free games bonus events and featuring hit songs Bad, Beat It, Billie Jean, Dirty Diana, and Smooth Criminal, this game is highlighted by a U-Spin™ Platinum Record Bonus and video clips showcasing the performer. Michael Jackson is represented exclusively for licensing by the Bravado International Group. Inspired by Paramount Pictures’ 1978 American musical film about two love-struck teens in a 1950s high school, GREASE is Bally’s first double-play game, featuring two, 25-line games – enabling the player to play two games at once. GREASE also fully utilizes Bally’s iDeck™ touch-screen button deck in the “Dance Off” Free Games feature in which players “dance” on the iDeck to win additional free games or credits, and in the “How Cool Are You?” bonus in which the player selects from one of four cars on the iDeck and the car moves up the ladder; the winning character indicates the player’s “coolness” factor and awards one of the four progressive jackpots or credit values. Market-Oriented Game Content – As part of Bally’s commitment to developing products designed specifically for the Asian market, the Company will exhibit a large number of Asian-themed titles including Sakura Festival™, Moon Dynasty™, Rainbow Dragon™, Tiger Treasures™, and Lucky Dragon™ on the sleek Pro™ V22/22 cabinet. Additionally, for the award-winning Pro Curve™ cabinet, featuring the industry’s only curved LCD to emulate spinning reels on a video slot, G2E Asia visitors will experience the titles Beijing Treasures™ and Radiant Riches™ among others. Furthermore, Bally will showcase Chinese versions of the popular Break the Ice™ and Cash Wizard™ games. Bally Technologies will also showcase the Golden Empire™ and Jeepney Joyride™ mystery progressive links. Golden Empire and Jeepney Joyride were developed locally for the Macau and Philippines gaming markets respectively. These mystery links feature themes targeted for the region and enable players to win one of the three or four randomly triggered progressive jackpots, depending on the operator’s configurations. Golden Empire and Jeepney Joyride link over standalone video slot machines, allowing jackpots to be triggered randomly during game play; no max bet is required to win one of the progressive amounts. Arcade-Like Play Mechanics – Another highlight of Bally’s exhibit will be the award-winning game Fish’n for Loot™ and Total Blast™. These exciting new games introduce Bally’s U-Shoot™ virtual-shooting gallery bonus-game play mechanic in which the player touches the iDeck to create weapons for “shooting” at targets on the main game screens. Bally brings the arcade favorite SKEE-BALL® to casinos in Macau on the Pro™ V32 cabinet. The game includes a bonus feature in which players touch and slide to throw the SKEE-BALL®, winning “tickets” that enable them to “Pick a Prize” on the game that reveals credit awards. All That Jazz™, also featured on Bally’s Pro V32 cabinet, has a revolutionary iDeck feature called U-Play™, in which players touch and play virtual piano keys. Players attempt to follow a melody by playing the piano keys. Every note is converted into numbers which populate four bonus reels. At the end of the song, the reels are spun to reveal the base-game prize. Powerful Floor-Wide Player Experience – Asia-Pacific casino operators will experience the innovation with live demonstrations of iVIEW Display Manager™ (DM), an interactive communication tool used by players and controlled by the gaming operator. This picture-in-picture style player-user-interface is backward compatible on any gaming device with a touch-screen display, and provides a way for casino operators to present self-service player-account access, marketing messages, and secondary bonus games on the main game screen – without interrupting play. Another show-stopper will be Bally’s Elite Bonusing Suite™ (EBS), which, when combined with the iVIEW and iVIEW DM player-user-interfaces, adds dramatic new levels of excitement and anticipation to the slot-play experience. The EBS applications delivers floor-wide, interactive promotions, second-chance-to-win events, and the ability for players to earn valuable rewards, all without interrupting play on the base game. This is the speech of the ceo of Gbgc, Warwick Bartlett, at KPMG E-gaming Conference Gibraltar. “But the good news is”, he continued, “although times have been really tough, the industry has consolidated; they have reduced their costs, all of the unknowns are now known and I think that the growth-story is back on the agenda. Add to this the prospect that the industry may be able to gain access to the US market you can clearly see why prospects have improved”. Politics and Gambling in the UK – Mr Bartlett then drew the attention of the Summit to a timeline of legislative and taxation changes that have taken place in the UK since 1961, when gambling was first legalised. It was punctuated throughout by changes made by the Labour, Conservative and Coalition governments”. So which Government suits the industry the best Tory or Labour? What are the prospects for the USA? 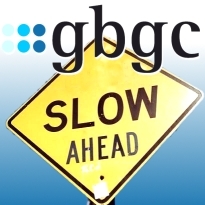 GBGC finds that most simply are not interested. “People will queue block after block for a rollover lottery ticket so why aren’t states taking advantage of online? Is it because to do so, they would have to open themselves up to other forms of online gaming and are reluctant to invite competition or that they just want everything to stay the same or they are waiting to see if the pathfinders at Illinois are successful? This remains to be seen. In the meantime, operators are betting big money that the market will open up by forming strategic partnerships, mergers and acquisitions” he confirmed. How will the US market open up? What is the timeframe? “But if we do accept that the US will eventually allow Internet gambling and continues to remain the largest gambling market in the world,” explained Mr Bartlett, “we have to ask; where is the best place in which to serve the global market and in which to base your headquarters? Which state or country is likely to give operators the best protection when they trade overseas? In my view the most likely place to base your headquarters would be the US and the most likely state would be Delaware because of its tax advantages and close proximity to Washington and New York. Were the US to follow the UK example of adopting a place of consumption tax where profits on all foreign income would be taxed in the US and given that the US is the world’s largest market I can see that this does not bode well for the offshore jurisdictions. However this is very long-term, ten years at-least” he reassured the Summit. “Sports betting drives Internet gambling and the US is a long way from legalising sports betting”. European operators have, historically, had little success in Asia, explained Mr Bartlett. But domestic sites are all very successful in their own markets. Indeed, some are making £6million net profit per month. These sites, he continued, understand the Asian gambler and perhaps more importantly, have the payment solutions to operate in those un-banked markets. Most also operate on credit, making it very difficult for European operators to penetrate that market because they do not have the connections in place. Commercial casino gaming revenues rose for the second consecutive year in 2011, continuing the recovery that began in 2010, according to a national economic impact study released today by the American Gaming Association (AGA). The annual State of the States: The AGA Survey of Casino Entertainment shows national gross gaming revenues increased by 3 percent from 2010 figures (when revenues rose just under 1 percent) to a total of $35.64 billion in 2011. The report also includes a survey that found continued strong support of the industry among gaming community leaders. The gaming industry demonstrated significant growth in many states. For example, the first full year of operations at Maryland’s inaugural casino in Perryville and the opening of its second property in Berlin led to the collection of four times the amount of gaming revenue in 2011 as was collected in 2010. Similarly, Pennsylvania gaming revenue increased by more than 21 percent in 2011, while Nevada, which was hit hard by the economic recession, had a 2.9 percent increase in gaming revenue and more than one million more visitors last year than in 2010. The new edition of State of the States also reported that in 2011 the industry directly employed more than 339,000 people who earned $12.9 billion in wages, tips and benefits. In addition, commercial casinos contributed $7.93 billion in tax revenues to gaming communities across the country – 4.5 percent more than in 2010. “Gaming companies are providing much-needed jobs and tax revenue to communities across the nation at a time when both are greatly needed,” Fahrenkopf said. State of the States also reports on the state of the gaming equipment manufacturing sector. Research conducted by Applied Analysis on behalf of the Association of Gaming Equipment Manufacturers shows that the sector directly generated $12.3 billion in revenue in 2011, 7 percent more than the previous year. Gaming equipment manufacturers also provided direct employment to 30,300 people, paying salaries and wages totaling $2.2 billion. According to the report, there were more than 837,000 gaming machines in operation throughout the U.S. in 2011. A special section of this year’s State of the States report features a poll of elected officials and civic leaders in gaming jurisdictions. According to the results, community leaders say casinos have more than delivered on their promises of jobs, economic development and tax revenues. The vast majority (83 percent) of community leaders say that the overall impact of casinos in their area has been positive, and more than three-quarters (76 percent) say casinos have done more to help than hurt other area businesses. A full 83 percent say the introduction of casinos has met or exceeded their expectations. Perhaps most telling, more than three-quarters (76 percent) say they would vote in favor of bringing casinos to their community if given the chance to go back and cast the deciding vote. The State of the States report also highlights public polling data showing that more than one-quarter (27 percent) of the U.S. adult population visited casinos during 2011, while fully 81 percent view casino gaming as acceptable for themselves or others. In addition to enjoying the gambling, these patrons ate in a fine dining restaurant (76 percent), saw live entertainment (62 percent), went shopping (46 percent), and took advantage of many other casino amenities. More than one-quarter (27 percent) of casino patrons say they never or rarely gamble when they visit. Widely regarded as the most comprehensive resource of its kind, State of the States offers an in-depth look at the commercial casino industry and provides national and state-by-state economic impact data, such as gaming revenues, tax contributions and employment and wage figures for the 22 U.S. commercial casino states operating in 2011. Public polling data included in the report were collected by VP Communications Inc. in conjunction with national pollster Peter D. Hart. Merkur Gaming took prime position at the recent FADJA exhibition that was held between 11th and 12th April in Bogota, Columbia. Following the stated company strategy of the Gauselmann Group to focus even more on the international business opportunities, the FADJA was an ideal exhibition for Merkur Gaming to put this strategy into lived practice. The exhibition itself reflected the growth and opportunities in the Columbian market. Over 3,000 visitors came to the trade show that had over 100 companies exhibiting. 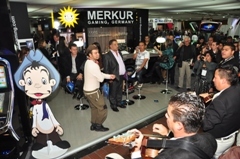 Merkur Gaming has positioned itself extremely well in Latin America, providing the unique combination of decades of experience in gaming within the group of companies, international knowledge from operating gaming machines in a multitude of countries and the in-depth knowledge of local player needs. It was precisely this last point that brought in the crowds on the Merkur Gaming stand. The new Cantinflas game is based on the much-loved actor and comedian from Mexico. The game revolves around this popular personality and the Merkur Gaming machines were played upon practically non-stop with visitors lining up to get to know this fantastic game. Having been named ‘the funniest person in the world’ by Charlie Chaplin, it is no wonder that Latin Americans still carry Cantinflas in their hearts. Today players in Columbia are revelling at the opportunity to play Cantinflas – even more as the game is packaged in state-of-the-art cabinets from Merkur Gaming. In addition Merkur Gaming presented the popular multi-game ‘Games Unlimited’ that is available in the Premium Casino cabinet and the Vision Slant Top as well as the Highflyer. These ‘made in Germany’ cabinets bring together the best games with the most modern cabinet innovations. The Highflyer gaming machine was a true eye-catcher with its second, upper monitor seeming to be floating in the air. The specially designed and produced chairs to match with the Highflyer create a complete and unique solution. Players can lean back and even control the start button from their chair. Another innovation that was presented at the exhibition in Bogota was the server-based gaming system. On Merkur’s stand visitors received first-hand information on how this technology allows the operators to configure, control and analyse their machines – both locally and remotely. The continued focus of bringing innovations to the market which bring true value and gaming fun has brought success to the Gauselmann Group for over five decades. Local operators are in agreement that they can stand out from their competition in attracting and keeping players at their locations with the combination of the Highflyer cabinet, the corresponding gaming chair and the huge variety of games offered by ‘Games Unlimited’ to catch each type of player. Furthermore, Merkur Gaming had a wide range of accessories on display. Naturally, Merkur Gaming entertained guests on their stand with great catering, cocktail hours with music from the Mariachis band and a Cantiflas look-alike who enjoyed the music so much that even he joined in the dance! Mr. Thomas Niehenke, COO of the Gauselmann Group, summed up the exhibition, stating, “The welcome we received from the visitors to our stand in Bogota is a great reflection on how Merkur Gaming is in a unique position to bring added value to both operators and players. Our technology together with our ‘made in Germany’ gaming machines and local games concepts puts us at a real advantage. These are very exciting times for Merkur Gaming”. Lottomatica Group S.p.A. held its Annual Shareholders’ Meeting today, chaired by Lorenzo Pellicioli, at which the Company’s stand-alone financial statements for the full year ended December 31, 2011 were approved, as well as the proposal for the dividend distribution of €0.71 per share, for a total of €122.2 million. The dividend will be payable on May 24, 2012, with an ex-dividend date of May 21, 2012, coupon no. 8. Additionally, Lottomatica Group presented to its shareholders the consolidated financial statements and the corporate governance report as of December 31, 2011. Lottomatica Group’s stand-alone Net Income in 2011 was €51.66 million compared to €72.88 million in 2010. Total Equity and Liabilities in 2011 were €5,143.69 million versus €5,193.27 million in 2010. Cash and Cash Equivalents at the end of 2011 were €15.3 million compared to €33.6 million in 2010. The Shareholders’ Meeting approved the proposals of the Board of Directors to allocate a portion of the net profits for completion of the legal reserve fund. The remaining portion of the net profits, equal to €51.63 million, together with €70.58 million as carried forward profits, will be used to distribute the ordinary dividend. Following the resignation of Severino Salvemini which became effective at today’s Shareholders’ Meeting, Donatella Busso was appointed by the Shareholders’ Meeting as a new Director upon proposal of majority shareholder De Agostini S.p.A. Donatella Busso certified that she meets the requirements of independence set forth in article 148, paragraph 3, of the “Unified Financial Act” as well as in the Corporate Governance Code promoted by Borsa Italiana S.p.A.. As a consequence, three Board members out of a total of nine will qualify as independent members pursuant to the law and the Corporate Governance Code. The ordinary Shareholders’ Meeting also approved a share buy-back plan that would authorize the acquisition and disposal of ordinary shares of the Company. The plan allows the Board to purchase, in bulk or in several stages, and on a revolving basis, a maximum number of ordinary shares representing an interest not exceeding 20 percent of the Company’s share capital. The Company does not have any immediate plans to acquire shares. The Group’s compensation policy was also examined. The Shareholders favorably resolved on the first section of the compensation policy which relates to the policy for the remuneration in 2012 of the Board of Directors and of the General Manager of the Company, as well as of the other executives vested with strategic responsibilities. The Meeting also approved the 2012–2016 stock allocation plan, and the 2012-2018 stock option plan, both reserved for employees of Lottomatica and/or of its subsidiaries. A meeting between the regulators of the gaming field in Spain, France and Italy. According to what GiocoNews.it learns from institutional sources, an international briefing dedicated to gaming will be held in mid-June, in Madrid, and it will gather Enrique Alejo, the new Spanish person in charge for the field, Jean François Vilotte, president of the Arjel, and Raffaele Ferrara, “our” general manager of AAMS. There would be nothing to be surprised in the news of the meeting from the point of view of international relationships and following the logic of an international cooperation, as pressed by the European Commission over and over again. But, besides being a good example for the other Member States, the summit dedicated to gaming market that the three European countries are preparing, looks like a much more interesting date. For example, we must look at the rule that Spain has just written – and that now they are putting into effect – to understand. Is not coincidence that Gioco News dedicated a report about the Spanish situation in the May issue of the paper magazine that we are delivering during these days (and that is available, as usual, even in the digital free version). 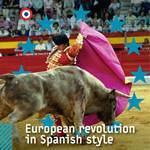 The gaming revolution in Europe begins from Spain. If Italy has acted as a forerunner on the regulations survey, also laying the foundations for the cooperation between Member States through the Memorandum of Understanding signed with France, Spain seems destined to mark time of gaming regulation, introducing national legislations on online gambling and, above all, bursting the banks of territoriality in favor of the international liquidity. The new rule is clear: open door for the gaming coming from other countries to gambling sites with a license ‘dot es’. This means that players from other countries can play on Spanish (virtual) tables. Respecting, of course, the rules in force in other States. For an Italian player is inevitably confirmed the prohibition of gambling on foreign sites; therefore, a “dot es” gambling site will still be inaccessible, like a ‘dot com’ one. Unless we establish a cooperation aimed at sharing the market and, in this sense, the discussion started between Italy and Spain during the past few months would suggest some chances, but it is still too early to guess real opportunities . And it is too early also to know the new Spanish operators of online gaming, after the change imposed by Enrique Alejo, General Director of the “Ordenacion del Juego’ (the branch of the Ministry of Economy in charge for the field). The licenses will be assigned by the end of June, and the intention is to analyze very well the requirements to be sure to charge healthy and totally reliable operators. There are nearly 60 requests on the table: too many according to the experts, with the risk that some licenses will remain unrealized. Due to the online race rouse at the end of 2011 with short times imposed by the rule, without permitting at the market the appropriate considerations. Three general licenses are expected: betting, competitions (including television), and ‘other games’. The first and third ones include other single licences, which will be awarded by the operators who will choose the respective channels. Besides the individual kind of bets who are part of the first part, the general license for ‘other games’ contains poker, bingo and three casino games (roulette, blackjack and baccarat). So the general licenses are translated into a pre-condition necessary to achieve the specific one, without it no one can enter the market until the next tender. So, a totally changing market and with remarkable potentialities. Especially because of the opening of borders mentioned above. If the sharing of gaming network that presupposes the introduction of an international liquidity may seem complicated into the EU, everything changes thinking a little bit big. Shifting the attention away from the Old Continent and considering the linguistic advantage that Spain has as regards other European countries, which would favourite a lot the international play. A part of the market not yet rated (even if government, in general, had expected an increase of up 50% of the number of online players in comparison with the ones estimated today) but without a doubt an important one, considering all the neo-Latin countries where the online gambling is not yet regulated or not forbidden abroad. Although, we must say that for the ‘.com” sites the matter is reduced to a mere trade-off between the opportunities of the present market and the “.es’ one, studying in depth the issue of taxation. The first of the new Crompton’s Coaster pushers are coming off the production line in the very factory that has created so many classic pushers in the past for the family business. “I think it is important that customers know that Crompton’s Coaster doesn’t just bear our name, it is actually built by us here in Ramsgate,” says Gordon Crompton, Managing Director of Game Concepts. Crompton’s Coaster is available to buy in the UK and Europe exclusively through Brent Sales. “We are really excited about this product which has already attracted a great deal of interest due to its quality build and versatility,” says John Brennan Commercial Director at Brent Sales/Bandai Namco. RocketFrog is set to change the landscape of casino entertainment on Facebook with the launch of the world’s most complete free-to-play online casino. RocketFrog’s fast paced multi-player tournaments for prizes include poker (Texas Hold ‘Em), blackjack, and slot alongside real-time stand-alone games such as no-limit poker, blackjack, slots, roulette and deuces and joker, deuces wild and jacks or better video poker games. “We’ve created social tournaments where players can interact and compete to win real prizes against their friends; not just leaderboard points or status increases,” said RocketFrog co-founder and chief executive officer Brett Calapp. “There’s no better place to do that than Facebook because that’s where your friends are at online. Who doesn’t like beating their friends and winning a prize?”. RocketFrog runs poker, blackjack and slot tournaments everyday with small fields (80-300 players) and lightning fast levels (2-5 minutes). A different advertiser each day will guarantee players a variety of prizes ranging from movie tickets, music, food and more. Additionally, RocketFrog’s traditional casino games allow players to choose their stakes and limits so they can customize their game experience. If you’re new to the game, RocketFrog has a full suite of learning tutorials, game strategy articles and tips from the pros. RocketFrog gives players a one-stop social casino shop for every level of player. RocketFrog’s centralized game environment allows players to challenge friends, keep track of their bank roll, share achievements, earn loyalty rewards, and compare game stats and rankings with friends. RocketFrog brings a slice of comedy relief to social games with laugh out loud virtual gifts and descriptors where players can select from a large assortment of light-hearted gifts to share with friends. New in-game gifts unlock as players build their points in RocketFrog’s loyalty club, which adds exclusive benefits and perks for players. RocketFrog was launched by online gaming and casino industry veterans Brett Calapp, Matthew Osborn, and Uri Kozai. Calapp former was the CEO and co-founder of Centaurus Games, subscription-based gaming network that sold to PartyGaming in 2010. He was also the President of the Ultimate Blackjack Tour, an international gambling tour, online game network and hit television show on CBS. Tom Anderson, co-founder and former president of MySpace.com, joined the company’s Advisory Board based on the company’s vision for fully branded social game integration. Also joining RocketFrog is reality TV Star and celebrity poker player Brody Jenner, who personally invested. “Advertisers are always looking for something different, something that engages users and cuts through the noise. RocketFrog delivers. The entire game experience is branded by the daily advertiser and at the same time users get to play for with real world prizes,” said Tom Anderson. Headquartered in Los Angeles, RocketFrog was founded in 2010. The company plans to regularly release new games, along with mobile apps, with the aim to build the largest free-to-play social casino on the web. To learn more about the company and its newest games visit www.rocket-frog.com. 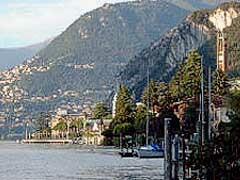 International Game Technology (NYSE: IGT) announced today the installation of IGT’s sbXTM systems solution, award-winning Premium Products games, also known as MegaJackpots®, and newly designed cabinets at Casino Campione in Como, Italy. As Casino Campione implements the sbXTM system, it will deploy IGT Floor Manager and Analytics to maximize the performance on the casino floor, while accessing the unparalleled IGT game theme library, which includes more than 500 of the industry’s most engaging game themes. The ability to refresh games quickly and incorporate customizable marketing messages will further enable Casino Campione to deliver a personalized, market winning experience for its players. “As a premier casino destination in Italy, we strive to deliver thrilling gaming entertainment to our players,” said Carlo Pagan, Casino Campione chief executive officer. 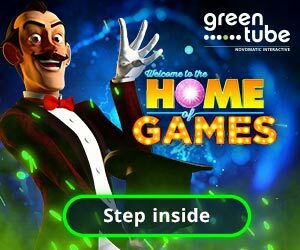 “IGT’s games are popular player favorites and we know the addition of sbXTM and these new titles will add to our award-winning floor and property”.